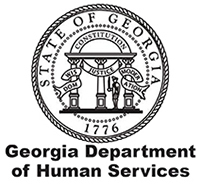 Federal and State law requires employers to report newly hired and re-hired employees in Georgia to the Georgia New Hire Reporting Center. Please use this site for information about reporting new hires including reporting online and other reporting options! Enter a scheduled GA New Hire Web Conference. When the days get longer, the sun is shining, and businesses begin hiring for the warm weather season. The Georgia New Hire Reporting Center reminds all employers that seasonal and temporary workers are considered employees for new hire reporting purposes. All employees need to be reported within 10 days of their hire date, whether they are full-time, part-time, or temporary. For more information on how to report electronically, please refer to the Reporting Fundamentals page or call us at (888) 541-0469. Customer Service Reps are available to answer questions, discuss reporting options, and provide a walk-through of the website and help with the registration process. Our goal is to make reporting your new hires as simple and quick as possible during the hiring season.